Ever wondered how Frankenstein's Creature learned to speak? 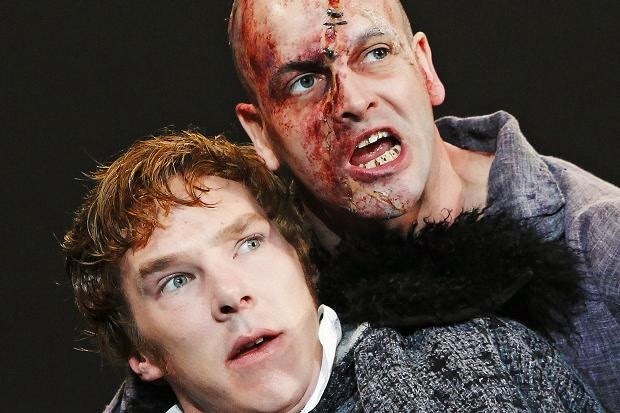 Those of you who recently saw the brilliant Frankenstein/Creature role swap done by Benedict Cumberbatch and Jonny Lee Miller will remember that De Lacey used Paradise Lost to teach the Creature to read. Actually, in Mary Wollstonecraft Shelley's Frankenstein, the Creature learned from a book called The Ruins, or Meditation on the Revolutions of Empires, by Constantin François de Chassebœuf, comte de Volney. Tarah Wheeler Van Vlack has been recording the audiobook of Volney’s greatest work over the last months. She needs your support to finish the recording, redo some of the first chapters, and get a sound engineer and editor to turn this from digital recordings into an audiobook! Support her project at http://bit.ly/volney!